Phil Mather arrived in Kershaw, South Carolina for the first annual Skip Barber MAZDASPEED Challenge Shootout. The winner of the shootout receives an invitation to the Mazda MX-5 Cup Shootout in Buttonwillow, California next month. Skip Barber runs three MAZDASPEED Challenge series each year; the Winter Series, South Series, and the Summer Series (in which Mather competed). The top two drivers in the points standings from each series were invited to Carolina Motorsports Park for the Shootout. Four drivers elected to participate, including Mather. Stay tuned for updates on Mather's progress! Kershaw, SC. 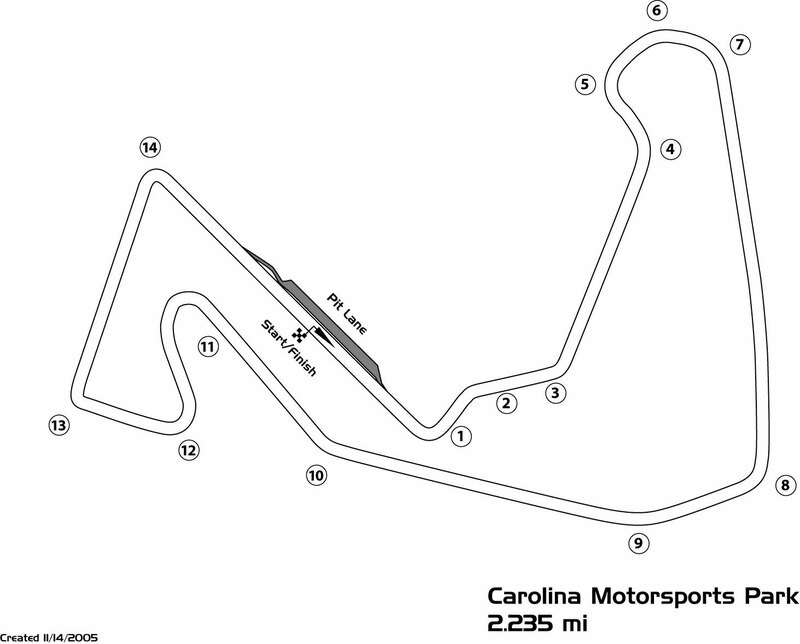 (October 25, 2009) - Driver Phil Mather earned a second-place finish at the first annual Skip Barber MAZDASPEED Challenge at Carolina Motorsports Park. After earning a second-place finish in the Skip Barber MAZDASPEED Challenge Summer Series Championship at Lime Rock Park on Oct 9-10, Mather secured entry into the Skip Barber MAZDASPEED Challenge Shootout. The shootout is used to determine the Skip Barber driver who earns an invitation to the Mazda MX-5 Cup Shootout. The top five drivers in the three Skip Barber MAZDASPEED Challenge series around the country were eligible for the Skip Barber shootout, and four drivers elected to compete: Phil Mather, Lee Carpentier, Charles Ng, and Angelo Dinkov. The weekend started with rain, rendering the low-grip track surface even more challenging. Said Mather, "I was surprised by how slick the track was, even when dry. The cars seemed to be skating all over the track. 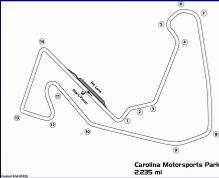 (The shootout at Carolina Motorsports Park was broken into a qualifying session, two heat races, and a double-points main event. The driver with the most points at the end of the weekend would be the shootout winner). When it started raining during qualifying for the first heat race, I knew I'd be in for an adventure!" said Mather, still managing to keep the MX-5 under him to secure a second place start. At race start, the track was still damp in places, leaving the competitors hunting for grip in turns. Mather battled back and forth for the lead, and with three laps to go, Mather was in second place behind his main competitor, Lee Carpentier. Going into turn 11, Carpentier hit the brakes too late and went off the track, handing the lead to Mather. Mather landed in first place, earning nine points and securing the race's fast lap. Mather started on pole for the second heat race, holding the lead for the first half of the race. There were a couple of very close calls: fellow shootout driver, Charles Ng, tried to out-brake Angelo Dinkov and Mather into turn 11, leaving the track. Later, Dinkov passed Mather briefly, until Mather stuck the nose of his car on the inside, Dinkov closed the door and contact was made. Dinkov spun and Mather headed to the pits for a car check. Mather finished second, earning six points. Holding the most points, Mather started the main race on the pole. He dropped to third about a quarter of the way through the race (behind Ng and Dinkov). Ng and Dinkov battled fiercely, eventually resulting in contact and earning them a trip to pit lane. With five laps to go, Mather (now in second place) was driving perfect laps, chasing down Carpentier. On the last lap, with three turns left, Mather was on Carpentier's bumper and made his move. Entering turn 14, Mather took a wide entry setting up for a drag race to the start/finish line and was surprised to see Carpentier dive into the pit lane. Apparently, when setting up for the pass, Mather and Carpentier made slight contact. Mather said, "I knew we were very, very close; I did not know there was contact, but it was apparently witnessed by the instructors. The rules state that any contact between cars results in a visit to pit lane for a car check." Mather finished the shootout in second place with 27 points to Carpentier's 30 points. "I worked harder than ever on my physical and mental training this race season, so I am a bit disappointed not to be the winner," said Mather, adding, "but I am proud to have finished second in the nation in one of the most well respected racing series in the world. I know this will open doors for me in the future." Taking the time to acknowledge his sponsors, Mather said, "CG-Lock, SeatSnug, Royal Purple, and PerformanceDrift.com have continued to support me throughout the year, and I'd like to thank them. Next year I plan on moving up the ladder and begin racing in the professional ranks. Can't wait to see what 2010 will bring!"